I don’t get this. But it seems cool? Nobody understood this and it’s obviously not very well developed. 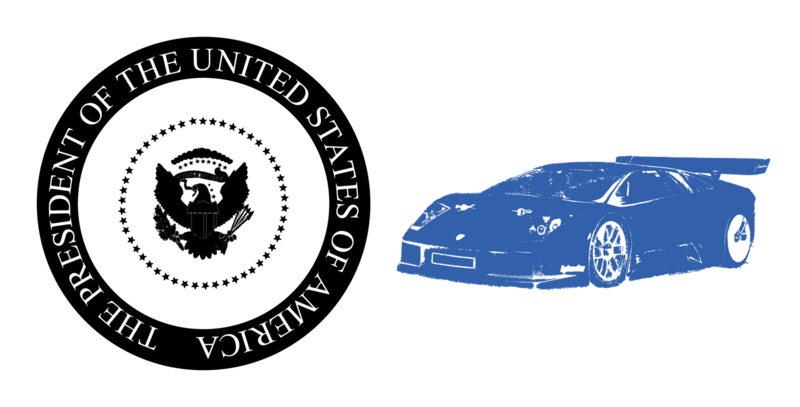 All it is supposed to say is that my president is black and my lambo is blue (as are the rims). I did see a picture in the New York Times of someone in DC with a shirt that said ‘My President is Black.” These would have added to the soup of merchandise being sold around DC and maybe would have been bought. The coolest shirt I saw had a silhouette of Bush ducking the shoe and said something like A fond farewell you dog. 1-20-09.